^ Mullins, Brody (24 March 2015). "Google Makes Most of Close Ties to White House". Wall Street Journal. Retrieved 24 March 2015. ^ Rawlinson, Kevin (2016-04-20). "Google faces EU charge over Android 'abuse of dominance'". BBC News. Retrieved April 20, 2016. ^ "Google Fined a Record $5 Billion by European Antitrust Officials". Variety. 2018-07-18. Retrieved 2018-07-21. ^ "Russia fines Google $6.75 million for preinstalling apps on Android". The Verge. Vox Media. 2016-08-12. Retrieved 23 March 2017. ^ "Microsoft's Mark Penn Mistake – The tech giant is treating Google like a political rival". The New Republic. 2013-02-15. ^ Holbrook, Ben (2012-06-20). "Paid Google Shopping – Another Step Towards Google's Master Plan". State of Search. Retrieved October 30, 2012. ^ "Google and Bing to demote pirate sites in UK web searches". BBC News. 2017-02-20. Retrieved 20 February 2017. ^ Association, Press (2017-02-20). "Google and Bing to deprecate piracy websites". The Guardian. Retrieved 20 February 2017. 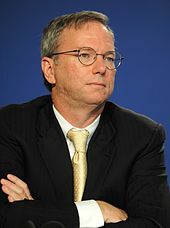 ^ "Former US Defense Official Says Google Has Stepped Into a 'Moral Hazard'". Voice of America. 2018-06-26. ^ "Ex-Defense Official Blasts Google for Dropping Pentagon's AI Project While Helping China's". Epoch Times. 2018-06-26. ^ "Where in the World Is Larry Page?". Bloomberg. 2018-09-13. ^ "The Pentagon must modernize before it's too late". Washington Post. 2018-09-17. ^ "Top U.S. general urges Google to work with military". Reuters. 2018-12-06. ^ "US general has a question for Google: Why will you work with China but not us?". Yahoo. 2018-12-07. ^ "Gen. Dunford Slams Google's "Inexplicable" Deepened Ties With China As It Cuts Pentagon Projects". Zero Hedge. 2018-12-07. ^ Dowd, Maureen (2017-01-11). "Confirm or Deny: Peter Thiel". The New York Times. ^ Dayen, David. "Google's unusually close relationship with the White House raises lots of questions". Mashable. Retrieved 2016-05-03. ^ "Google's Remarkably Close Relationship With the Obama White House, in Two Charts". The Intercept. 2016-04-22. Retrieved 2016-05-10. ^ D'Onfro, Jillian (26 May 2018). "Google employees are spending heavily to elect Democrats in California and to flip the House". CNBC. Retrieved 6 September 2018. Pitkin, Emil (6 September 2018). "Alphabet's Political Contributions". GovPredict Blog. Retrieved 6 September 2018. Stangel, Luke (25 May 2018). "New data: Googlers really want to flip the House blue in the 2018 midterms". Silicon Valley Business Journal. Retrieved 6 September 2018. ^ Owen, Paul (2009-11-03). "Our top 10 funniest YouTube comments – what are yours?". the Guardian. Retrieved February 12, 2015. ^ YouTube Help (November 6, 2013). "Meet the new YouTube comments". YouTube. Google Inc. Archived from the original (Video upload) on 30 October 2014. Retrieved November 16, 2013. ^ Ghosh, Shona (2018-03-02). "An ex-YouTube recruiter claims Google discriminated against white and Asian men -- then deleted the evidence". Business Insider Australia. Retrieved 2018-03-02. ^ Sadowski, Jathan (24 October 2017). "Google wants to run cities without being elected. Don't let it". Guardian. Retrieved 1 October 2017. ^ Morozov, Evgeny (22 October 2017). "Google's plan to revolutionise cities is a takeover in all but name". Guardian. Retrieved 2 May 2018. ^ Poole, Steven (December 2014). "The truth about smart cities: 'In the end, they will destroy democracy'". Guardian. Retrieved 9 May 2018. ^ Vanolo, Alberto (April 2014). "Whose smart city?". Guardian. Retrieved 9 May 2018. ^ Quinn, Michelle. "Google Workers Walk Out". VOA. Retrieved 2018-11-05. ^ News, VOA. "Google Workers Launch Worldwide Protests". VOA. Retrieved 2018-11-05. ^ D'Onfro, Jillian (2018-11-03). "Google walkouts showed what the new tech resistance looks like, with cues from union organizing". CNBC. Retrieved 2018-11-05. ^ "Google Walkout: Employees Stage Protest Over Handling of Sexual Harassment". Retrieved 2018-11-05. ^ Lorenz, Taylor (2018-11-01). "The Google Walkout Doesn't Go Far Enough". The Atlantic. Retrieved 2018-11-05. ^ "Google Employees Walk Out To Protest Company's Treatment Of Women". NPR.org. Retrieved 2018-11-05. ^ "Google walkout: Employees protest over sexual harassment scandals". Retrieved 2018-11-05. ^ "The dingo... er, Google stole my patent! Biz boss tells how Choc Factory staff tried to rip off idea from interview". The Register. 2018-11-30. ^ @matthewstoller (2018-11-30). "Google tried to patent somebody's work after a job interview. And they almost succeeded, except that this person had the backing of MIT" (Tweet) – via Twitter.